This ravishing wrap bracelet will have you singing praises. 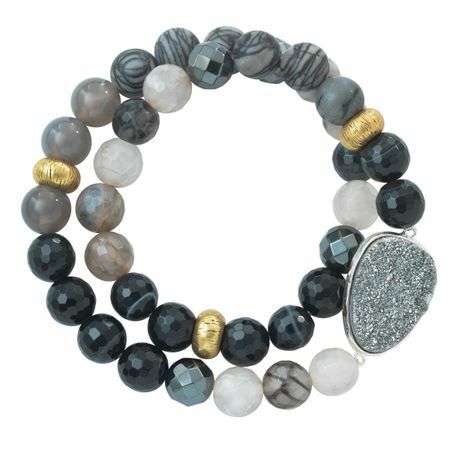 Beaded black agate and hematite is offset by brass accents and a singular, bezel-set druzy. Bracelet measures 6 3/4 inches (wrapped) by 11/16 inches and features an easy slip-on design. Piece comes with a “.925” sterling silver stamp as a symbol of guaranteed product quality.